CAMPO and Black Square are looking for student contributors for their upcoming exhibition and publication. 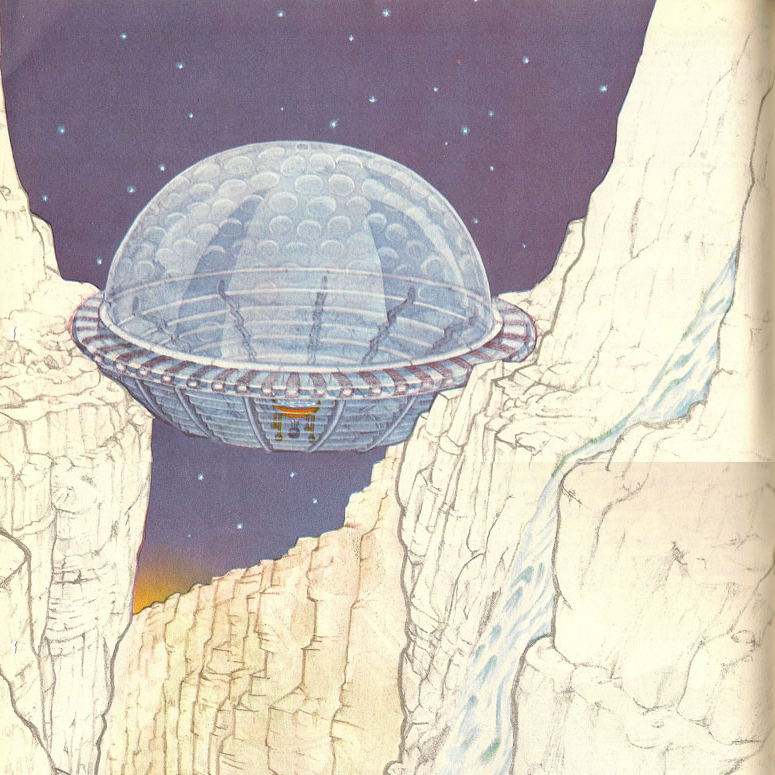 In 1973, Ettore Sottsass published on Casabella magazine a text and a series of drawings entitled The Planet as a Festival. The text described the possibility of a land where all humans are free from work and social conditioning and where there is no architecture left to design. All that is left to architects in this condition is to imagine an architecture designed by “others”. After 43 years, Black Square and CAMPO invite a group of contemporary architects to define their own Planet as a Festival, writing a description of a space intended to host ceremonies – a space capable to decipher dreams and desires that still are present in our contemporary condition. More than verifying the extraordinary possibilities offered by technological evolution, Sottsass was interested in criticizing an era obsessed by future. He imagined a world where cities disappear swallowed by the jungle and “production problems no longer exist. A few movements alone are sufficient, and the machines make everything by themselves in eternally repeating cycles”. The Planet as a Festival is not a utopian project but rather the construction of a condition in which architecture can work as a device for new rituals, thus emancipating itself from the need to respond to a functional program. Architecture is then free to give space to the most profound instincts that animate collective life. It is precisely when ‘nothing is left to design’ that the mandate of architecture can be reinvented. Black Square and CAMPO ask a group of architects (among which Andrea Branzi, Sam Jacob, and Elia Zenghelis) to imagine and describe through a brief narrative text the architecture that could give form and place to those rituals and desires. These scripts will become the basis for a set of narrative drawings developed during a workshop at CAMPO within which architecture students will try to give form – as Sottsass would say – spaces designed by others. For a week, we will gather in Rome, working on these translations from text to image, and exploring and documenting those places where sacred and profane rituals and ceremonies are celebrated in Rome today, from the football stadium to the Mouth of Truth, from St. Peter to the Trevi Fountain. Texts, drawings, and results of the fieldwork will be featured in a publication as well as an exhibition opening in Rome in September 2016. A group of architects and thinkers will write a script to put forward their position on contemporary rituals following the approach of Ettore Sottsass in the series of drawings and text The Planet as Festival. Students will translate these written proposals into drawings and images representing the space for rituals and desires addressed by contributors. The workshop will be curated by CAMPO and Black Square and led by tutors Gianfranco Bombaci (2A+P/A) and Maria S. Giudici (Architectural Association). The participants will be assigned one of the new ‘Planets’ to further develop their interpretation in form of architectures and will therefore start working on the basis of one of the proposals put forward by the contributors. During the week, our work will not only consist of an intensive drawing charrette, but also of field visit to the most ritual spaces in Rome. Some of the architect contributors will join us for crits and fieldwork during the workshop; we will find opportunities for debate and discussion with the others either at a later date or via web. The workshop is open to up to maximum 18 participants. The work will be developed in pairs or individually, depending on the final structure of the exhibition. We are looking for individuals with a strong personal take on space and the city. Students of any level as well as recent graduates are welcome. The selected participants will be noticed before 11 July 2016. The workshop will be hosted in the spaces of 2A+P/A office. Participants should bring a laptop with standard software (Rhino/Cad and Adobe Suite) and, if they have one, a good quality camera. The workshop cost is 150€ and covers all the expenses to participate to the workshop including prints and exhibition. It is requested also to become ordinary members of CAMPO supporting it as Friend. Each applicant will have to arrange travel and accommodation in Rome; we can suggest contacts with local B&Bs, which will offer a discount rate.